This week has been the week of winter baseball meetings for team executives. 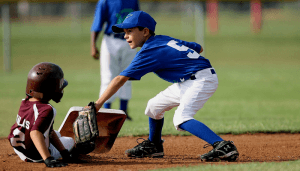 There have been plenty of trades and discussion around ways of shortening the game of baseball. In this era of social media it’s increasingly hard to keep the attention of sports fans. On the more skills side of the game, there has been a noticeable drop in the quality of fundamental skills. Vanderbilt coach Tim Corbin, who’s team didn’t make the college world series, has had to spend more time on core skills like catching, throwing, turning a double play, bunting and running bases. Leadership is a lot like baseball; it’s easy to be high in presentation skills or persuasion, but overlook the fundamentals like holding people accountable, having tough conversations and setting goals. Like baseball, it’s great to hit it out of the park and throw a 90 MPH fastball, but what about fundamentals? It’s the daily journey of fundamentals that determine your success in baseball but also in leadership and life. Where are fundamentals taught? Most organizations do not have a fundamental leadership development program for emerging leaders. It is expected that you will “catch on” to leadership by watching what works and what doesn’t. Like baseball, we need to get back to the fundamentals of leadership. We can help with this. Our LeadershipClass and our one-on-one leadership coaching are great ways to help build and refine the fundamental skills on your leadership team. That’s how you build championship teams and organizations. P.S. Register to join our next free weekly 45 minute CareerClass Webinar “Find the Right Career, Right Now!” on December 20 at 12:00 pm EST. Discuss the secrets of finding and keeping passion in your work life.